When an object comes out of a 3D printer, it usually has a mildly rough finish. “Post processing” the term used for a multitude of ways to clean the item up and give your creation the TLC it deserves to look as good as you imagined it. Please note: Because results may vary, all these techniques should be practiced on spare parts before attempting on your prize piece. For those whose imagination runs wild, explore the idea of painting those custom shapes to look like real life. There is a place for neon green Yoda but imagine the wow factor of painting him in all his “natural” colors. That’s taking your game to the next level! Check out artist, Cosmo Wenman who faux finishes his 3D printed models to look like ancient bronze sculpture. Trimming with clippers or blade. Comes in handy if you need to cut away a raft or extra fly-aways. We like Aven brand cutters. Sandpaper. We recommend a 220 grit. Chemically smoothing: Acetone*(nail polish remover) and no-lint cloth or cotton swab. A light touch is required since the Acetone is very powerful. There is also a way of creating an Acetone cloud which causes the object to lose some fine details but creates a good, all-around finish. Acrylic paint is the best all-around way to color your 3D printed objects. It’s affordable (low as $1 tubes at all-purpose stores), water-based (non-toxic and easy clean up) and so very versatile. You can layer transparent colors using paint mediums (see “Clear Coatings” below), build up solid, opaque color or utilize a variety of faux-painting techniques such as “crackle” or heavy texture. You can mix any custom color you can dream up. Fine detail is easy to maintain with the right brush and stiff paint consistency. Note: Acrylic needs a clear coat for a durable finish unless you mix the paint with the clear coat (see below). Glossiness in the paint and clear coat can be easily manipulated. 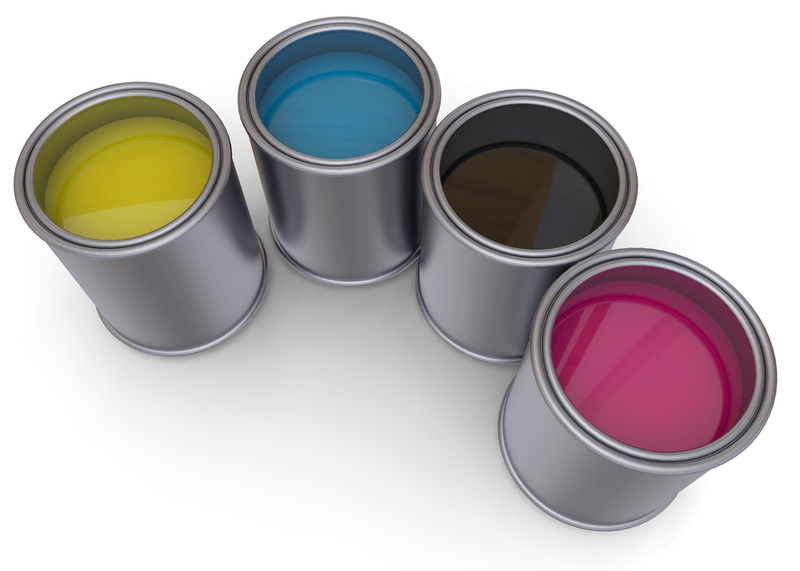 Clear coatings, such as Polycrylic or spray varnish should be used after the acrylic paint dries (4-6 hours). Polycrylic is water-based so can be mixed directly with acrylic or put on after the paint dries as a protective layer. This is a great way to control the opacity of the paint, create layered effects and save the hassle of coating the product after painting while keeping details sharp. Its only downfall is that it is bulkier than spray varnish and may show brush marks. Of course, these things can be used to artistic effect. Enamel paint is opaque, durable and has a high-gloss shine; somewhat good for details but tends to be runny and difficult to keep in a small space. A bit more expensive but not unaffordable. Comes in spray cans for covering large, undetailed areas and bottles for smaller, more detail-conscious jobs. Ink and paint markers can work on SLS nylon and ABS plastic with somewhat-to-fairly good results. Some streaking may occur so don’t try to cover large, open areas. Better to use on small, intricate objects without much flat space, where fine detail is needed. Fabric dyes are good for doing large batches of a single color over a clear object, usually Ultraviolet-Cured Resin. This technique is not good for capturing details as it dyes the whole object. The color can be very subtle to strong (depending on how long you let your object steep). Hardware may be installed on plastic or Ultraviolet-Cured Resin parts using glue or by drilling holes for screws or bolts. Our Full-color Sandstone 3D prints are too brittle to handle any drilling. Super glue is your best bet there. Combining these tools together can take your 3D printed object any number of directions. Just use your imagination and let those objects come alive. *Caution: Acetone is very toxic. Use in a well-ventilated area with gloves.